Riding a camel-drawn wagon across the Australian desert, Max (Mel Gibson) is attacked by a pilot flying a Transavia PL-12 Airtruk, who manages to steal his belongings and his vehicle. 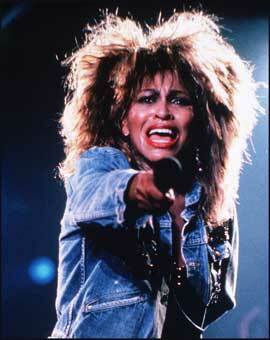 Max continues on foot and finally stumbles upon the only nearby human outpost in the wasteland that remains—the seedy community of Bartertown, founded and nominally run by the ruthless Aunty Entity (Tina Turner). In Bartertown, electricity, vehicles, functioning industrial age technology—all almost unheard of in this post-apocalyptic world—are made possible by a crude methane refinery, fueled by pigs' feces, using a weathered semi tr as the electricity generator. The refinery is located under Bartertown and is operated by the smart, diminutive Master (Angelo Rossitto), who is harnessed to his enormously strong, but dim-witted bodyguard known as Blaster (Paul Larsson). Together, "Master Blaster" hold an uneasy power-truce with Aunty for control of Bartertown. Master, however, is beginning to exploit his position with energy "embargoes," challenging Aunty's leadership. She is furious with him but cannot challenge him publicly, as Master is the only one with the technical know-how to operate the machinery that powers Bartertown. The controlled chaos of Bartertown is maintained by a set of inflexible laws, including one that states that no contract can be broken, for any reason. The punishment for breaking this law is equally inflexible and invoked with the simple phrase, "bust a deal, face the wheel." Entity recognizes Max as a resourceful (if disposable) fighter, and strikes a deal with him to provoke a duel with and kill Blaster in the "Thunderdome," a gladiatorial arena where conflicts are resolved by a duel to the death, turning what is arguably a political assassination into a lawful act. Max goes to Underworld, where he befriends a convict who was imprisoned for killing a pig in order to feed his children, and thus nicknamed Pig Killer (Robert Grubb). Max then finds his vehicle in Master Blaster's possession, and confronts them, resulting in the necessary challenge to enter Thunderdome. The rules of Thunderdome, as chanted by onlookers crowding the arena, are simple and singular—"two men enter, one man leaves." After a difficult match, Max defeats Blaster, but refuses to kill him when he discovers that Blaster is a man with a developmental disability. An enraged Aunty has Blaster executed and invokes the law since Max broke his deal with her. The wheel turns out to be a large, spinning metal disc (similar to a Wheel of Fortune) with an arrow pointing to one of several consequences. Possible consequences include Death, Hard Labour, Acquittal, Gulag, Aunty's Choice, Spin Again, Forfeit Goods, Underworld, Amputation, and Life Imprisonment. When spun for Max, it lands on "Gulag." He is cast out of Bartertown and exiled to the desert wasteland, strapped to the back of a horse. The horse runs with an initial whipping & chases a bottle of water strapped in front of its face. The story radically shifts gears at this point. 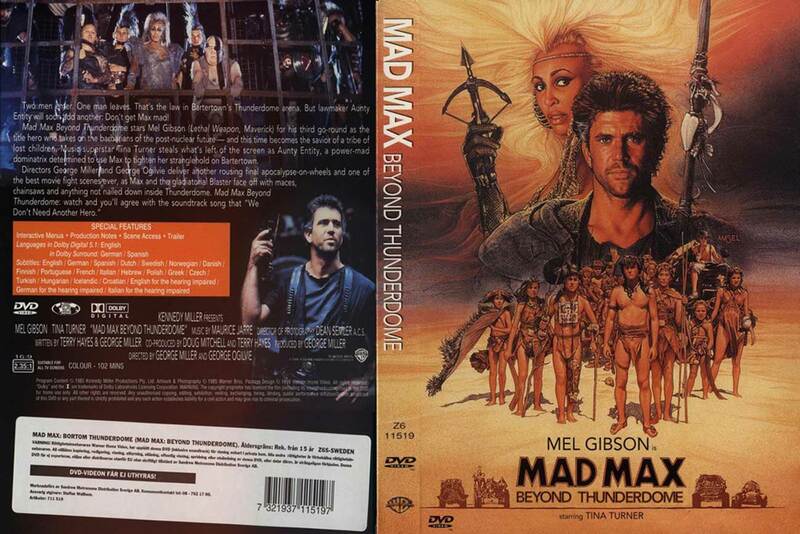 Some time later, Max, who has gotten beyond Thunderdome but is near death due to exposure to the hostile conditions, is saved by a group of children led by Savannah Nix (Helen Buday). The children, hardened to the desert environment, are survivors (or the children of survivors) of a nearby Qantas Boeing 747 plane crash, and have formed a sort of tribal community in the sheltered desert oasis in which they live. Clinging to their hopes of rescue, they keep their fading memories of the past civilization alive in the form of ritualistic spoken "tells" which hinge on the return of a messianic "Captain Walker" who will repair their shattered aircraft and return them to civilization. The "tell" explains that Flight Captain G.L. Walker at one point took most of the surviving adults to seek help, promising they would be back to rescue the rest, but never returned. Max's age and physical resemblance to Walker make the children believe that he has indeed returned to take them to "Tomorrow-morrow Land," or back to civilization as it once was. After nursing him back to health, they are shocked to hear Max's account of the dystopic state of the world and become angry at his insistence that they all remain living in the relative safety of the oasis, knowing that the only "civilization" within reach is the rough and hellish Bartertown. The third act begins as Max catches up with them at the outskirts of Bartertown. They sneak in, intent on finding Master. Without Blaster to protect him, the dwarfish Master is little more than Aunty's slave. Max and the children free him (with the assistance of Pig Killer, who also escapes), but alert the guards, and a frenetic chase ensues, resulting in Bartertown's methane fy becoming damaged and causing explosions, ending at the hideout of the same pilot that attacked Max in the beginning of the movie (played by Bruce Spence, who played the autogyro captain in Mad Max 2). Max coerces him to help them escape in the Transavia PL-12 Airtruk, but there is too much weight and not enough runway between them and the attackers' vehicles, so Max takes a truck and drives it in front of the airplane, smashing a hole in the roadblock enabling the children to escape. Max is found by Aunty, and, having earned her respect, is spared his life. The story shifts to many years later, when the much older children are seen in the ruins of a destroyed Sydney, lit up by thousands of fires and lights. Savannah, the leader of the children, recites a nightly "tell" of their journey. Adam Cockburn - Jedediah Jr.